If you’re a Telstra customer and find yourself unable to make calls, you’re not the only one. What began as a few Telstra customers reporting outages in NSW, has since spread throughout the rest of Australia like wildfire. Thousands around the country have blown off steam on social media, complaining about the lack of accessibility to the telco’s mobile and fixed line services. After an hour of being bombarded with complaints, Telstra finally confirmed via Twitter that a fire in their Chatswood exchange this afternoon has caused major network outage. Phones in the Illawarra region of NSW were affected since 2pm and the head of a charity in Perth reported that staff were unable to make calls or get through to Telstra. Over 6,000 complaints have been registered on the Aussie Outages website originating from Melbourne, Sydney, Brisbane, Perth and Adelaide, the majority being from around NSW. A statement from Australia’s largest telco has confirmed that the fire has been contained and technicians are assessing the situation to determine the full impact of the damage done to the power infrastructure, with more information to follow soon. This is not the first time Telstra has had issues with outages – the telco was plagued with embarrassing troubles in the first half of 2016 with mobile and voice services disrupted followed by an NBN and ADSL outage in May. 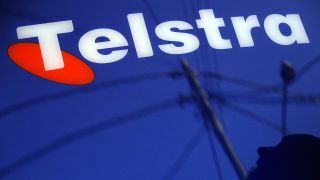 At the time of writing, Telstra tweeted that some services were beginning to be restored, but customers have complained about text messages being impacted as well. The telco tweeted, "Due to today's incident, it's possible some SMS messages were incorrectly delivered. All messages will be held while we resolve the issue." The timing of this debacle couldn’t be worse, coming a couple of days after Telstra announced the launch of its commercial LTE network service and device that’s been touted as being ten times faster than the NBN’s slowest speed. Want to know more about 4G in Australia? TechRadar explains it all.